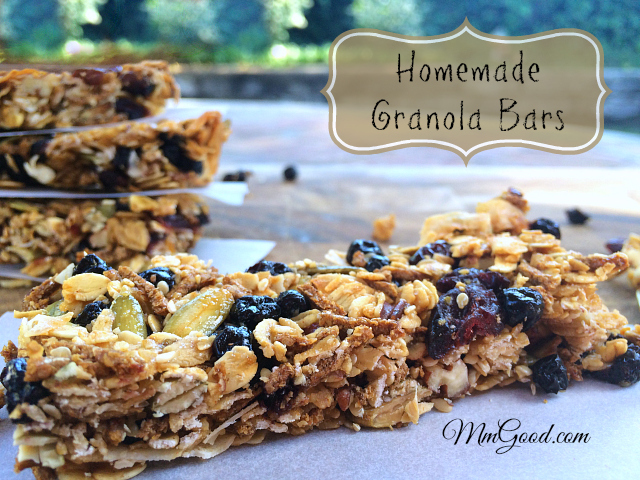 Here is a great recipe for a homemade granola bars, it’s great because it’s homemade and you can alter the recipe to your likings, modify how much sugar goes into this recipe and change it up with different dried fruits/nut. 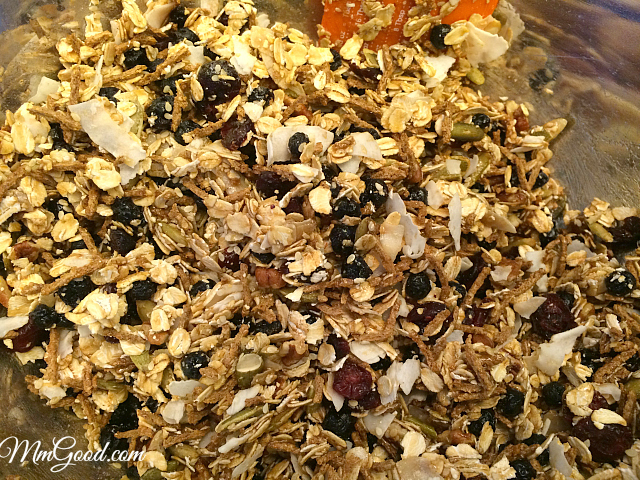 As you know I love homemade granola and I love experimenting with flavors, although sometimes I tend to gravitate to the same ingredients, here is another recipe for granola bars. 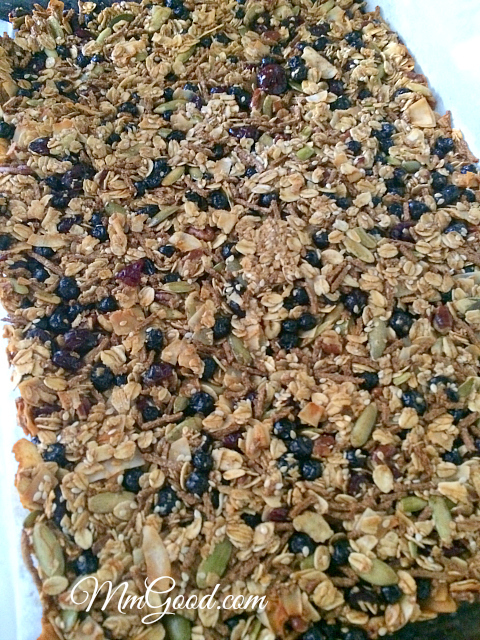 I wanted to try something different for this recipe so I used fiber cereal making the granola bars a little healthier…I loved the texture/flavor the cereal added. 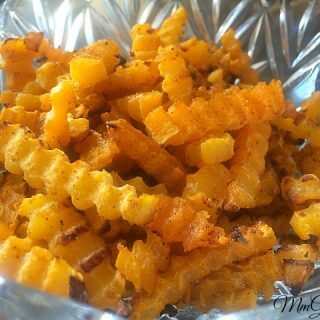 This is just a great recipe to make and have around to snack on! I found these bars were more of a moist granola bar so ultimately I broke the bars into small pieces and used the granola for my yogurt or just to snack on, it was delicious. 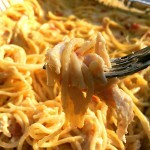 It’s a great recipe/snack to bring on picnics as well. 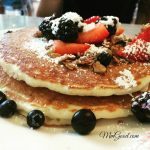 I would recommend putting parchment between the bars as they can be sticky from the honey (you can see that in my photo above). 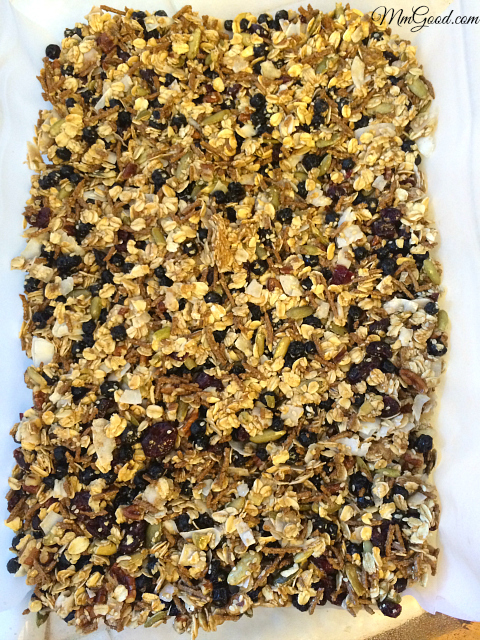 Play around with the ingredient list to make these granola bars your own! Preheat oven to 325 degrees, prepare an 9x13 pan by spraying it with vegetable oil and lining it with parchment. 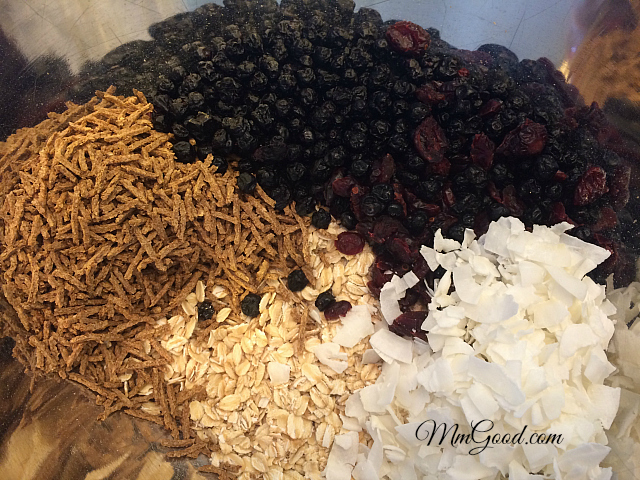 In a medium bowl, mix together the old fashioned oats, fiber cereal, nuts, dried blueberries, dried cranberries, coconut and salt. 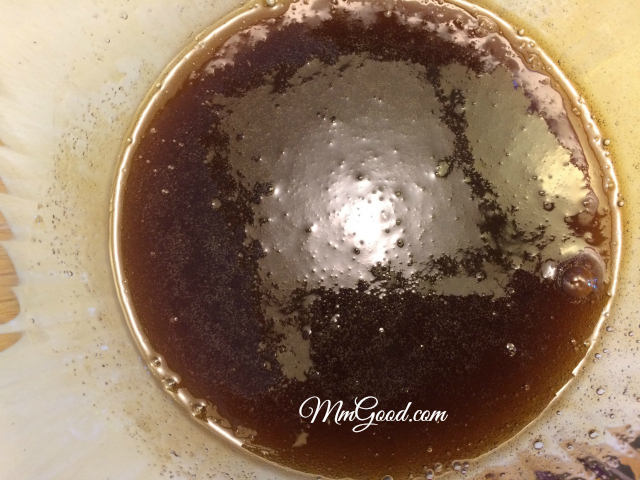 Microwave the brown sugar, honey, corn syrup, coconut oil and vanilla in 30 second intervals. Pour the warm honey mixture over oat mixture and stir to coat. 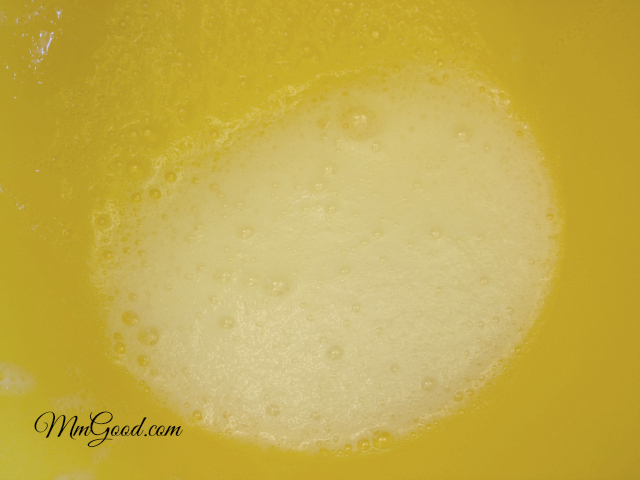 Whisk egg whites and stir into oats mixture. Press into the prepared baking pan and bake 50 minutes or until brown. Cool completely in pan on a wire rack (about 45 minutes) before cutting. Enjoy!